Want more????? Visit my Squidoo lens, Seashell Coloring Page, and help yourself to the drawings I’ve posted there. Known as a “Queen”, “Pink” or “Caribbean” conch (pronounced “konk”). 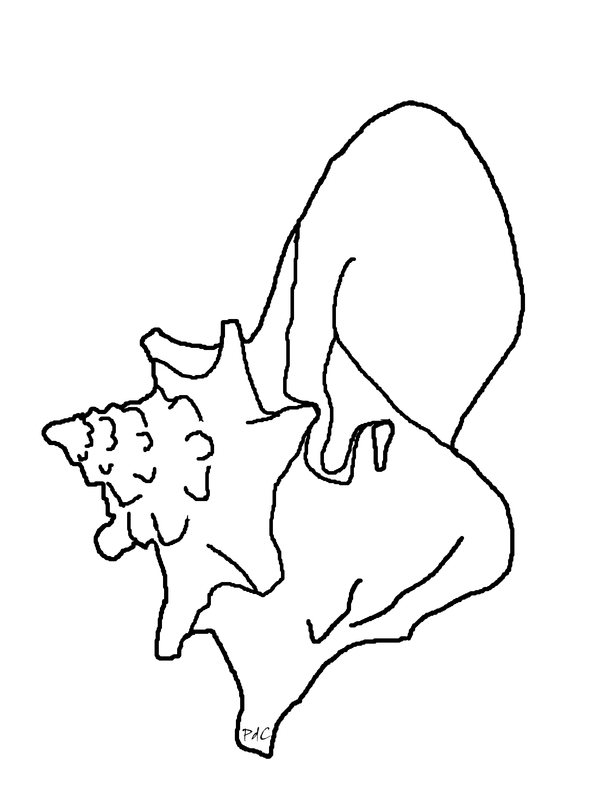 Please help yourself to a copy of this coloring page. 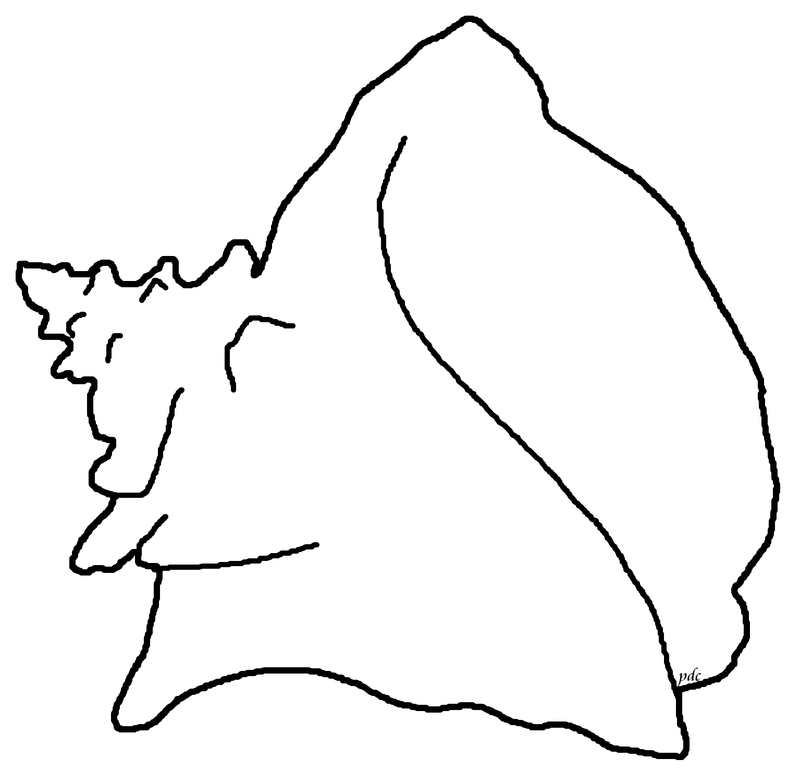 This large conch is becoming endangered because of over fishing in the tropics for food and shell collecting. 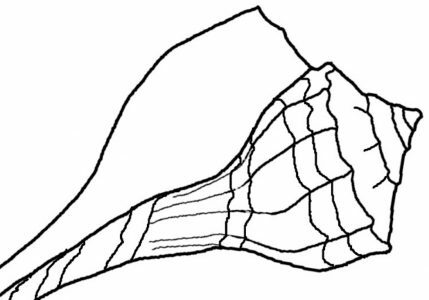 Read more about this conch and others at my Seashell Identification page on Squidoo.